Micronucleus test is carried out to evaluate the genotoxicity of chemical substances. Micronucleus is a smaller nucleus which are left in the cytoplasm without being taken into the main nucleus when cell division occurs due to abnormality in the chromosomes. In this test, micronucleus is counted after cells are exposed to the chemicals examined. 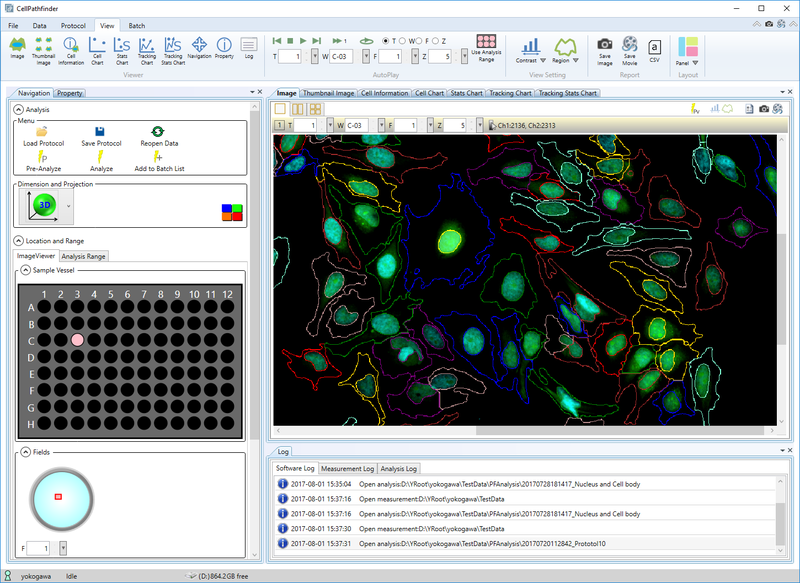 CQ1 users can take high quality confocal images and set analysis protocols to automate the detection and counting of the micronucleus and main nucleus. In this application note, we examined the genotoxic effects of mitomycin C (MMC), which is commonly used as a positive control in micronucleus test. An important requirement in this test is the division of nucleus during and/or after exposure to the test substances. 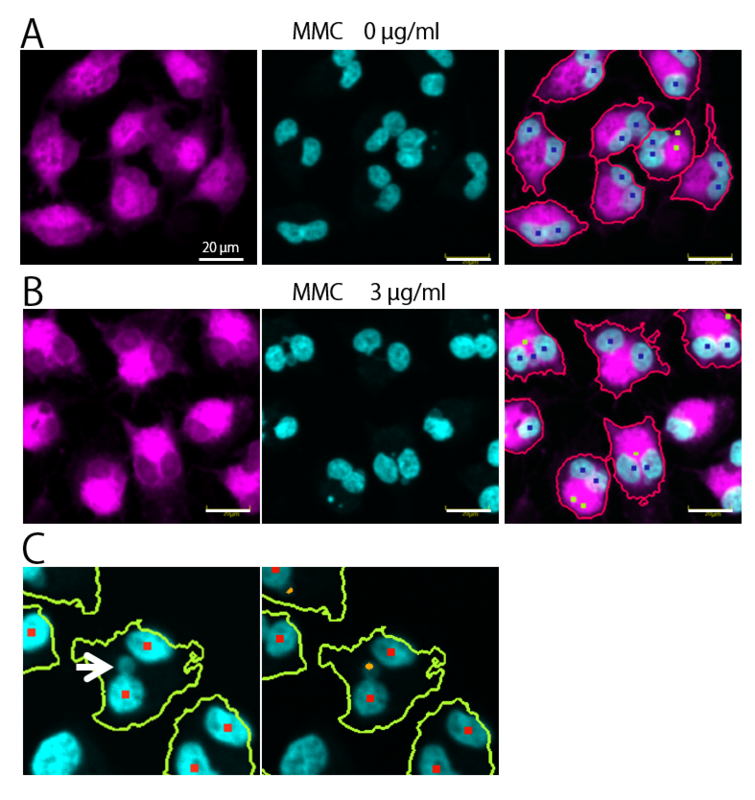 In the present experiment, we treated the cells with cytochalasin D, an inhibitor of actin polymerization, so that we distinguished multinucleated cells, in which the nucleus had divided at least once, from mononucleated cells, in which the nucleus had not divided after exposure to MMC. Then we counted cells having micronucleus, mononucleus and multinucleus. 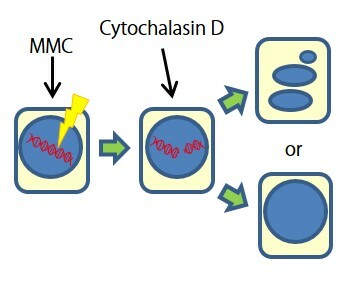 (A and B) Examples of cells without (A) and with (B) MMC treatment. Cell (left, CellMaskTM Deep Red), nuclei (middle, Hoechst 33342) and the recognition by CQ1 (right). Main nuclei (blue dots), cell bodies (red outlines) and micronuclei (green dots) are recognized. Only bi-nucleated cells were analyzed in this figure. Figure 2. Frequency of the cells with micronucleus among multinucleated cells. MMC induces micronucleus in dose-dependent manner. Figure 3. Detection of multinucleated cells. (A) Examples of cells (green outlines) having 1 to 4 nuclei (red dots) recognized by CQ1. (B) Number of cells with 1 to 4 nuclei. Colors indicate the number of nuclei. (C) Ratio of multinucleated cells against mononucleatedcells. CHO-K1 cells were seeded in a 96-well plate (NUNC #165305, 3,000 cells/well) and incubated for a day. Cells were incubated for another 24 hr in the presence of MMC. Cells were treated with 6µM cytochalasin D for 24 hr. Cells were fixed with formaldehyde, then the nuclei were labeled with Hoechst 33342 and plasma membrane was stained with CellMaskTM Deep Red. Images were acquired by CQ1 (20x objective lens, z slice: 1µm x 31). We could detect not only micronuclei isolated in the cytoplasm but also those not completely separated from the main nuclei in the image so that we were able to quantify the increase of the frequency of the cells with micronucleus precisely. In micronucleus test, it must be ensured that the nucleus has divided during and/or after the exposure to the substances examined. For this purpose, we used cytochalasin D to prevent the division of cytoplasm, and counted the number of main nucleus in individual cells to distinguish multinucleated cells and mononucleated cells. The number of mono and multinucleated cells is necessary also to estimate cytotoxic side effects. 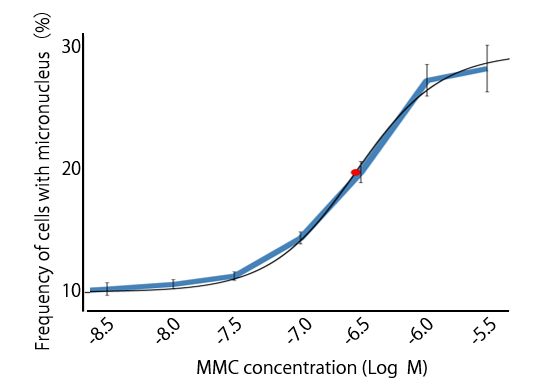 In the present experiment, high dose of MMC not only induced micronucleus but also prevented cell division. 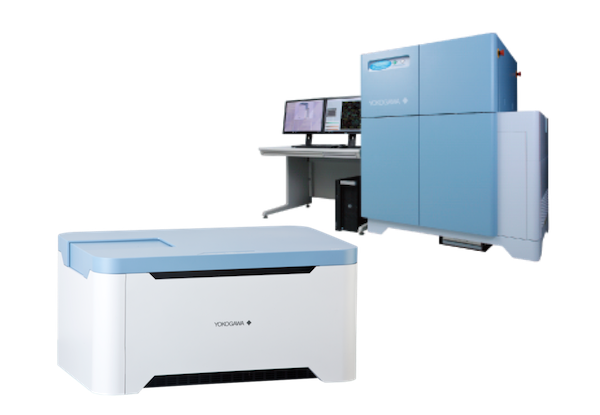 The present results demonstrate that users can collect data necessary for micronucleus test by confocal imaging and image analysis in CQ1. 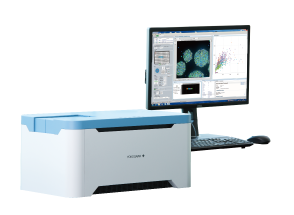 CQ1’s flexible analysis function enables users to analyze with multiple measures such as the number of micronucleus and main nucleus, volume and length as needed. 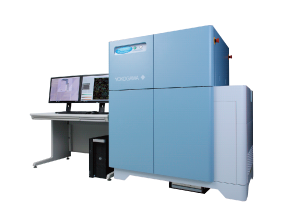 Therefore, CQ1 would be a powerful research tool not only for micronucleus test but also for the basic research of cell division mechanism. MMC has genotoxicity including cutting DNA and induces micronucleus. An inhibitor of actin polymerization. Cytochalasin D prevents the division of cytoplasm, but does not of nucleus, so that it induces multinucleated cells.